Vada Capital divested of their longest held portfolio company in 2017. The story of growth and partnership is one we are extremely proud of and welcome you to learn more about in the following video and news article. In 2002 PDS Railcar Services was in receivership. Vada Capital, with management acquired the assets and Caltrax Railway Inc. was created. Caltrax is an independently owned railcar repair facility in Western Canada. Vada’s work with the company is just one example of how Vada works with and for their partnerships. When Vada was considering acquisition, Jeff Robson, President of Vada Capital, saw an opportunity. Vada bought Caltrax out of receivership and during 2005-06, Vada sourced individuals who would improve the management of Caltrax. Al Tymensen and Derek Kissick joined Caltrax as Vice President of Finance and Executive Vice President Operations respectively. Tymensen believes that Vada, under Jeff Robson’s leadership, has a great ability to encourage high performance while being understanding and supportive. For Tymensen, this is what makes Vada stand out as a private equity firm. In addition, Robson has a clear focus on the people involved in Vada’s partnerships. Human capital is a key component of Vada’s operations and Robson personally describes himself as ‘an average investor with great people skills.’ It is these skills that allow him to find the best people to support the initiatives and objectives within a partnership. Over the course of a 15-year relationship with Caltrax, the team of Robson, Tymensen and Kissick brought Caltrax to a new level. In 2012 the company was administering around 600 – 800 repairs a year. By 2017 this number had nearly doubled to 1200 – 1400 repairs a year. It was at this point that Caltrax began exploring their options and the deal with CAD Industries came into the picture. The expertise Vada contributed to the sale process meant that Caltrax was able to explore their options and find the best possible outcome for the acquisition. Vada protected both the managers and employees, informing interested parties that the people were priority and needed to be considered. In 2017 the sale was finalized and Caltrax became a part of CAD Industries. The team at Caltrax is still connected with Vada and both companies maintain a strong relationship. Caltrax management agrees that working with Vada was and is a supportive experience, with accountability and a people-first mentality being the integral components for a long-lasting, successful partnership. Vada Capital is an independent, family-backed private equity firm that partners with passionate management teams to achieve growth.  Established in 2001, Vada Capital is comprised of a diverse team of professionals with wide-ranging backgrounds in operations and finance. Vada prides itself on its strong values paired with innovative strategic planning, financial discipline, resulting in exceptional partner relationships. Learn more at www.vadacapital.com.